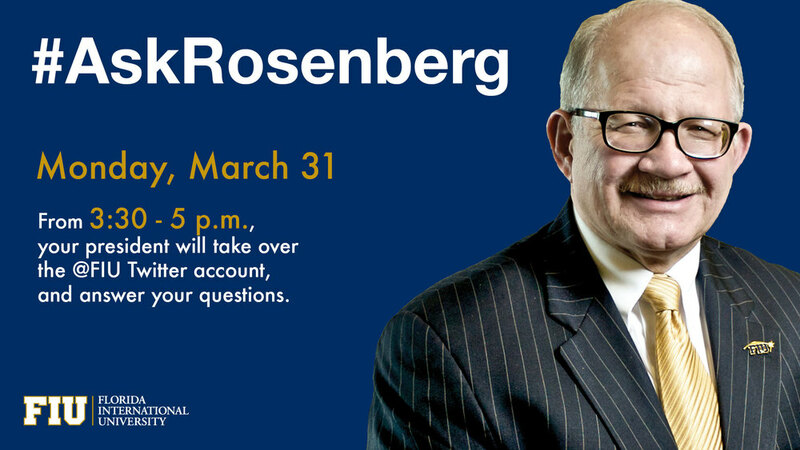 #AskRosenberg is a live Twitter chat with Florida International University president Mark Rosenberg, held every semester. 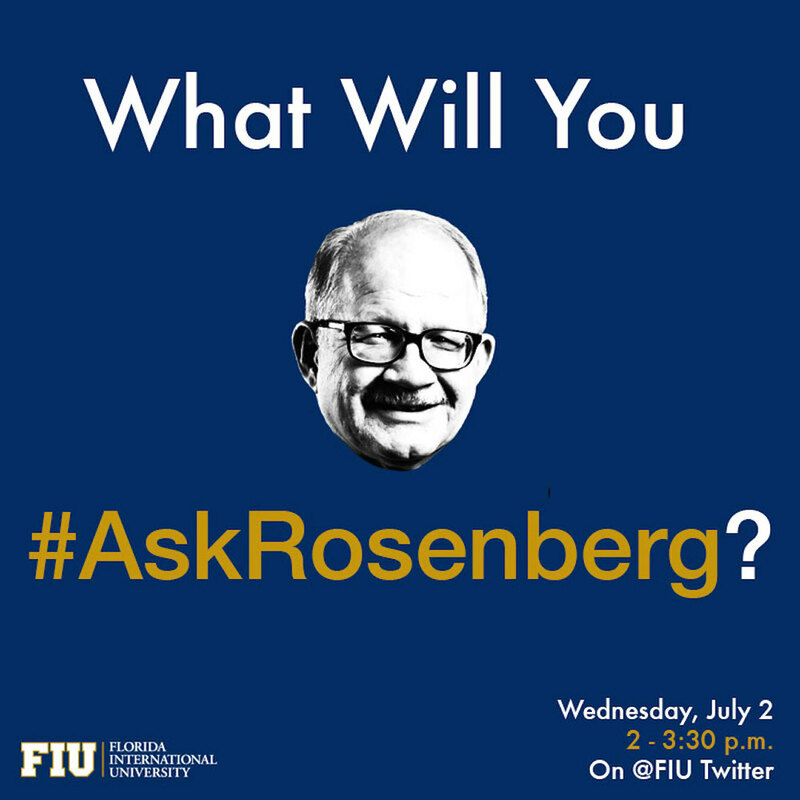 The objective was to create a closer, more digital relationship with students and the FIU community at large. It gave the president the opportunity to really answer some hard-ball questions, as well as connecting with students on a social level. We drew a lot of inspiration from University of Central Missouri's Twitter chat #askAmbrose. We also used President Obama's Twitter chat as an example to convince leadership. They were questioning the necessity of the Twitter chat, since there wasn't technically a negative image to remedy. But the argument was it could only improve his image further, especially putting the president front and center with the student community. Post by University of Central Missouri. We made sure that the President had not only the social media team with him, but a Media Relations, Admissions and Financials representative. Depending on the climate, we broke down some questions he should be prepared for, based on our listening strategy on social. For the first session, we notified the President's office that the then-current fraternity scandal, and the community's negativity towards the current athletic director would be the questions to be prepared for. 100+ new Twitter followers in one hour, each session.